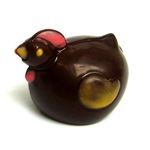 Zingy chocolate ganache flavoured with fresh limes, decorated with a green swirly pattern. 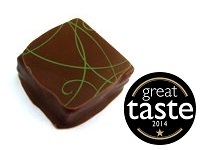 Great Taste 2014 Award Winner. 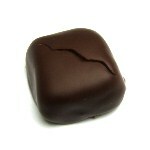 Lemon zest-infused cream is blended with creamy white chocolate, dipped in milk chocolate and sprinkled with lemon zest. For more, please have a look at Steph’s blog.